The Life Form Series comes from Johnson’s lifelong fascination with organic form and design. Not only has he found solace in the natural world, but his respect for all living things has profoundly affected how he has lived his life. Johnson’s photographic work has long reflected this interest and respect. 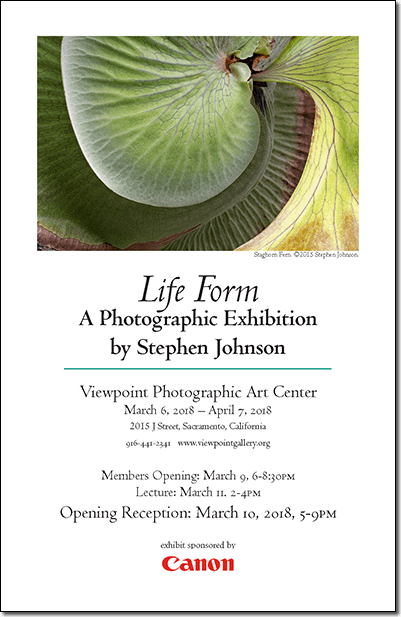 Stephen Johnson is a Canon Explorer of Light and in this 2 hour lecture he will take you through exploration of the sensuality and strangeness of flora seen in abstract form and beauty.